This topic contains 42 replies, has 18 voices, and was last updated by RiverRhino 1 year, 10 months ago. I would assume this will be scheduled. I have my room booked and plan on going. Hi Karen (& Dan) – MWA has reservations for the NOC bunkhouse already. It’s on the calendar. Right now MWA is looking for a coordinator for the trip, which would mostly involve taking names & assigning them to the lodging. The trip is on the agenda to be discussed at the upcoming 9 May MWA meeting. Jim I got your email and would rather “help” than be the main leader. Mariah and I plan on staying 13miles away at the Microtel Inn instead of the bunkhouses. We can never get a good night sleep in those. We are going to arrive Saturday morning to meet others and stay Sat/Sun night and come back home Monday. Well we decided to change our minds and not go this memorial weekend. We ran into transmission issues on our April Tellico trip and haven’t got it fixed yet. 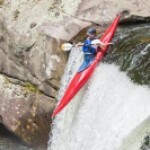 The Southeast Trip is a go, as long as we have paddlers signed up to go. Nate Eades and I will be splitting the trip duties Nate will have the rivers portion, so it will be a good trip! This is a fun trip not just for beginners but all levels! We do have bunkhouses reserved for Friday – Sunday the 26-27-28th, and will be paddling Friday – Monday. Rivers TBD depending on river levels. Bunkhouses are $21 per night per person, and they will be added to the MWA store for purchase very shortly. If you are interested in coming, bunkhouse or not, post your intent as soon as possible. Also, let us know if you will need a bunkhouse as well. We have until this Friday the 12th to release bunkhouses for a full refund/credit, so please let us know as soon as possible or book them when they are up on the MWA store! Any questions, let Maureen/Mo know! This reply was modified 1 year, 11 months ago by mowalk. For the bunks they have been added to the MWA store soup you can take care of that there. Cassata did a really nice job with that. If you were my need all three nights make sure to let us know which nights so we can keep track. Regarding the rivers and time on Friday, we will let everyone know closer to the date. Too soon to know river levels now. Bob & Jon Henderson are in for Fri, Sat & Sun. Really like the having the bunks on the MWA Store, thanks Cassara! Thanks for taking the lead Mo and Nate. Ryan, Luke and Grant Oelzen will be there Friday, Saturday and Sunday. For any other beginners out there, we don’t plan on doing any hard paddling. We plan on doing the Nantahala at least once. My sons are better paddlers than I, so I plan on renting a ducky again this year. Thanks to all who organized this trip. See you there! To further simplify the organization for the trip, on-line ACA Waivers for the SE Memorial Day trip are now available! (Thanks ACA!) The Memorial Day trip is an MWA-sponsored, ACA-sanctioned, fun event. Please follow these links & sign a waiver, so Maureen doesn’t have to track you down at the river! Pay on-line, fill out waivers on-line – pretty soon you’ll be able to paddle on-line! Hey – that was easy!! David and I just signed up as well. I’d like to come along too, I signed the waiver, how do I pay? Nevermind, I figured it out. Count me in although I won’t get there until lat Friday. This reply was modified 1 year, 11 months ago by TruckerJoe. Me, Jace, Clara are going on the trip, but we will take care of our own lodging. Eric will be along as well. I can help with Safety for river trips, but I will have my 12 y.o. son (priority) with me. We will probably stick to the beginner groups. At this point, looks like we have a two person bunk left. So if you need a bunk, get it before they are gone! And we have a lot more coming that have their own accommodations, so it is shaping up to be a really nice trip!! Also, if you are coming, make sure to sign your online ACA waiver – that way you can spend more time on the river your first day down there! Tim Olson and Adam Kral will be there Friday through Monday. We’ve made our own arrangements for lodging. 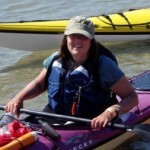 I’ll be driving in from Kansas City with my step daughter and plan on kayaking Friday-Monday. 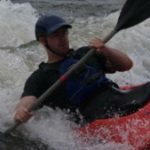 I had a blast paddling with everyone last year, and look forward to another great Memorial Day. I plan to be there and paddle Friday – Monday. Looks like Bunks are full. We have a good group going this year!! You can still attend, there are lots of campgrounds, motels, cabins nearby, and many are using these anyway. If you can still make it, please fill out the waiver online and post here your intent and days paddling. Could you please post the address for the Cabins? There is directions as well on the NOC website at http://www.noc.com. 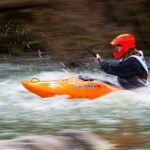 Look for the Nantahala River and Lodging link for directions. Any ideas for Friday boating yet? I’m heading to Nashville tomorrow for work then to Chattanooga. Trying to decide where to stay Thursday night for Friday boating. Cindy Cullen has been of great help and put together choices of the area, and what I can say is that not everyone is able to make it down Friday, including Nate. That said, the big question is what difficulty to do. 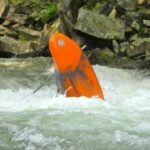 Frankly for the beginners, being right where you should boat the first day, the Nantahala on Friday, is customary and easy to accomplish. That said other options have been done in the past, including Clear Creek on the Obed/Emory system, given it is on the way. Mo and I have a list together on who is going, but knowing when people are arriving would be nice, and opinions from the group for Friday, whether or not Friday intends to be the Nantahala, or split into groups going to different destinations that exist, one more difficult, and one beginner. Also, for Sunday, two considerations should be French Broad Barnard to Stackhouse (currently at 7K cfs), and Chattooga Section 3 (currently at a tad over 2 feet). 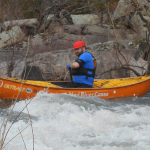 Monday usually involves the intermediates and experienced boaters doing the Ocoee. 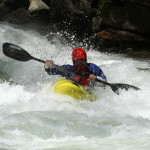 I am driving down Sunday and Monday Nat and I will do the Nantahala for those wanting to stay and run it again. We will be in town until Wednesday or Thursday. This reply was modified 1 year, 11 months ago by Bilbo. I’m driving in Thursday to the campground near NOC and will paddle all 4 days. I’m fine with either a warmup run on the nanty on Friday, or something a little more challenging as long as it’s not too crazy. I still have not worked out a ride to the Southeast trip. I can come back with Bob Henderson. Can anybody fit me in their car to get out there? Okay, for Friday, let’s meet at the NOC in Bryson City in the take out parking lot at 10am. Plan is to run/play the Nantahala at this point. Other days will be determined once we are down there. Look forward to seeing everyone this weekend, and there is still time to come if you have your own sleeping arrangements! Here is the current list for the bunkhouses at the NOC. For room keys and bunk name, you will need to go to the General Store (across the street from the restaurant and large outfitters store). If you get there after the store closes, your packets will be next to the brochures outside the store. Also, all of those paddling will need to sign and ACA waiver, or have one signed for minors. Also, if you are not an ACA member, you will need to pay the $5 insurance fee. This is required even if you have you are not staying at the NOC as this is a MWA trip. This year, thanks to Jim and Casara, we have the option of signing the waivers online before the trip, leaving you more time to paddle the rivers instead of signing forms at the river – so thanks for making that easier for everyone!! 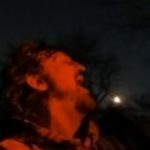 To find the links, scroll to the top of this thread! So far I have received waivers from: Kathy, Casara, Joe T, Jason J, Nate, Sally, Bob H, Joe M, Marissa E, Tim Olson, Ryan Luke & Grant, and Mo. I was thiking about Hiwasee on Friday, but I don’t think there are any scheduled releases. Jace might appreciate the gradual warm up to doing his first Southeast trip. I wonder: Is it an ACA requirement to sign a waiver at ever event? Or can you just sign one for all club activities for the entire year? 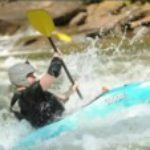 Jason – you might consider the Tuckasegee at Dillsboro. It’s not far from NOC. It’s a good class 2 without the Nanty’s cold water. Just put in below the first rapid from the same location. Yes, you do have to sign a waiver for each event. Already signed a few this year. The good news is one waiver for this trip no matter how many days. Also, if you are not an ACA member, $5 covers the whole weekend. And I did get waivers from the two of you! Thanks! In addition to what Bob says, there is the option of doing the easier stuff on the nanty, possibly catching up to us at that point. When we meet, when we leave are usually two different things. This reply was modified 1 year, 10 months ago by mowalk. David and I will be arriving Friday evening and will plan on meeting up Saturday Morning. On Friday when in route we may stop at the Tellico (if it comes down) or Cumberland. Saturday & Sunday we have no definitive plans yet, Monday we will likely be on the Ocoee. 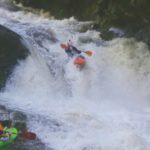 We’d feel very confident doing safety on the Nantahala, Pigeon, or French Broad. Kind of last minute, had to confirm puppy sitting arrangements, but I will be going as well. I won’t arrive until late Friday. Is there a preferred time or place to meet up with the group Saturday morning, (first time for this trip). Thanks, and see you there. We won’t know for sure till Friday night/Saturday morning. Feel free to text me at three14 9five4 2five1seven to find out when you get there or closer to the time. There is usually MWAers hanging out at the NOC near the restaurant and outfitters store, so you can always check there as well. Mo. This trip is the top of the penicle of all if my sdventures. Many thanks to all who contributed to the success of the weekend. I don’t want to name names for fear of leaving anyone out, but I whole heartedly apreciated the concessions made so that I wasn’t left out. Looking forward to progressing in this sport with you alls help and I swear to do all I can to contribute! Thanks to everyone. I had a great time and met some great people. Now I just have to figure out how to get more practice in. Thank you to everyone who organized, showed up, shuttled, loaned gear and paddled safety for us newcomers. We are easing into the sport as my kids grow. Much appreciation for taking our limited courage and skill levels into consideration and for making this trip such an enjoyable one for the Oelzen family.